Running a successful business involves a lot of details, and some important ones often get overlooked. If you’re in charge of operations, promotion, or manufacturing, you probably have a lot of decisions to make and too many options to count. Nameplates/Labels may not be high on your list of priorities, but they should be. If your business involves any type of manufactured goods, machinery, electronics, or industrial equipment, find out how U.S. Nameplate Company can help your business. 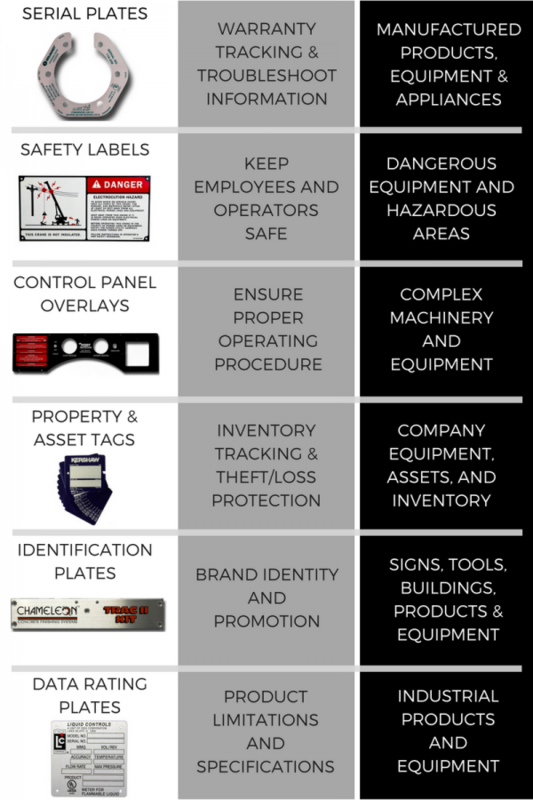 From inventory management to safety and efficiency, we’ll explain why these are the six nameplates/labels your business needs. Serial plates contain valuable information about your manufactured products including your company name, the model number and serial number, the date the product was made, and information regarding the batch the product was made with. Serial plates are attached to the products and the information is recorded before products are shipped off to be sold. This helps your company, your retailers, and your consumers easily communicate and track important information about each product. Many companies manufacture similar products with just slight differences. If there are any issues with a product, consumers are expected to call the hotline number printed on serial plates. Having this information on serial plates helps consumers identify the specific model number and serial number for the particular product so that your representatives in customer service can quickly locate and provide troubleshooting information to the consumer. Serial plates also help identify a product’s warranty information. From the terms to the lifespan and status of the warranty, serial numbers and model numbers on serial plates are able to easily provide warranty specifics when a consumer calls in for replacement, repair, or return. At the end of the day, everything comes down to the bottom line – sales. With serial plates, you are able to track how many products were sold, at which dealers/locations/divisions they were sold, and which products had the highest number of sales. To keep things running smoothly, it is important to keep both equipment and employees safe in what can be a dangerous environment. With the help of safety labels, companies are able to warn and inform employees about possible workplace dangers, including exposures to chemicals, loud noises, flying debris, and many other environmental dangers. Warning labels are also necessary for dangerous equipment that can pose an injury to the operators, such as heavy equipment, electronics and machinery with high voltage. With the help of safety and warning labels, companies are able to lower the risk of injury and increase efficiency and production. Your equipment, machinery, or electronic devices have switches, buttons, or other means of controlling the system. Control panels and graphic overlays help ensure proper operating procedure by clearly labeling controls on complex machinery and equipment. Control panels, graphic overlays, and deadfront graphics are just some of the different types of protective coverings you may need, depending on the physical needs of the specific device or equipment. Each of these are specially designed to correlate with the look, feel, and function of the specific application. Control panels and graphic overlays can be placed on a variety of equipment, including industrial machinery, vending machines, sound systems, medical equipment, appliances, telecommunication devices, and many more. Any equipment with keypads, switches, or any other controllers need to have identification to keep the operator safe and the equipment from malfunctioning. Whatever your industry, your business likely has physical assets that are important to keep track of for your own inventory and accounting purposes. Property and asset tags are used to more easily track and monitor those assets. For moveable assets, tags help to keep track of where equipment is in each step of its transportation. This can also help with theft prevention since these products can change hands often and are at a greater risk of being stolen or misplaced. The asset tag contains your company identification and specific tracking information, so it is much easier to get products returned to the proper place. Though fixed assets don’t typically change locations, it is still important to keep track of these for inventory audits. Property tags help you with inventory control and give you the ability to easily calculate the value of each asset over its life cycle. Furthermore, asset tags with sequential numbering or barcodes can help track maintenance and repairs. Scanning a tag can quickly direct a user to a database of repair instructions or maintenance schedules. Branding is an important part of any business, in order to keep your company top of mind for consumers. Identification plates and products can contain your company name, logo, address and any other important information about your company. Whether it is through the use of a building sign, industrial decal, or product label, identification products are long-lasting branding materials to promote your company and your products. Data rating and specification plates document the different limitations of industrial equipment for several industries, such as construction, mining, and manufacturing. Common applications for data rating and specification plates are motors, pumps, fans, heating equipment, and lighting fixtures. These plates help operators understand a product’s performance specifications to help ensure proper use and safety for both the operator and the equipment. Specification plates can display information about weight limits, temperature ranges, lifting capacities, electrical hookup information, and more. With 70 years of experience in the industry, U.S. 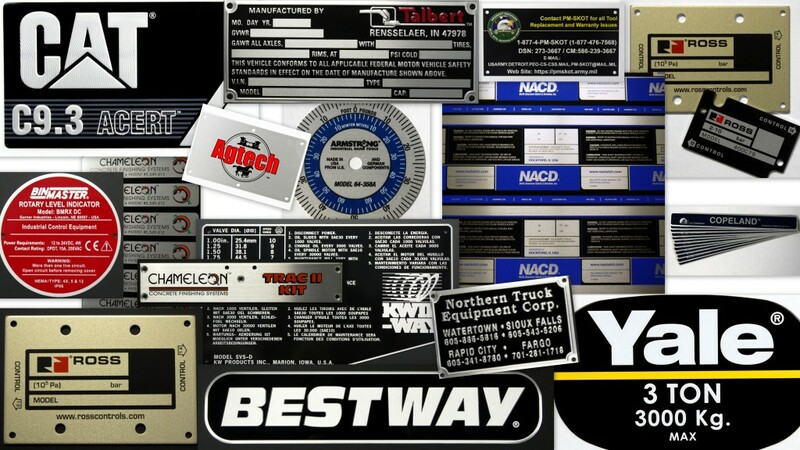 Nameplate Company has become the supplier of choice for over 3000 Original Equipment Manufacturers. We’ve manufactured identification products across multiple industries, including construction, mining, farming, transportation, medical, utilities and military. We are also an ISO certified facility and a UL approved label supplier, so you can be sure your nameplates will meet industry standards. Our knowledgeable and experienced staff is happy to help provide solutions to meet any need specific to your industry. Everything that we do is custom designed and we offer a variety of options for materials, thickness, finishes, attachment methods, and fabrication to meet your exact specifications. All of our products are built to withstand harsh environments and last for years so that your company’s brand and products are represented with professional, high quality nameplates. Trust the staff at U.S. Nameplate Company for all of your industrial identification needs. Request a free quote or contact us today for more information. Known as the most durable aluminum substrate on the market, Metalphoto® is a photosensitive, anodized metal used in a wide range of industrial applications. Developed in the 1950’s, Metalphoto is a preferred choice for many Original Equipment Manufacturers (OEM’s), particularly the government and military. Because they meet military specifications, Metalphoto parts are often used for military-grade specifications and can withstand even the harshest conditions, including sunlight, corrosion, chemicals, and extreme temperatures. For nearly 70 years, U.S. Nameplate has been the supplier of choice for large industries including construction, electronics, and the military. These original equipment manufacturers know they can trust the durability and performance of all our products. From nameplates to asset tags and VIN plates to control panels, U.S. Nameplate uses an advanced process to protect all the products we produce. You’ll appreciate how easily we can create and customize your Metalphoto products. If your image or text can be photographed, we can design a clear and crisp reproduction. We use your film and process it directly on to the plate. 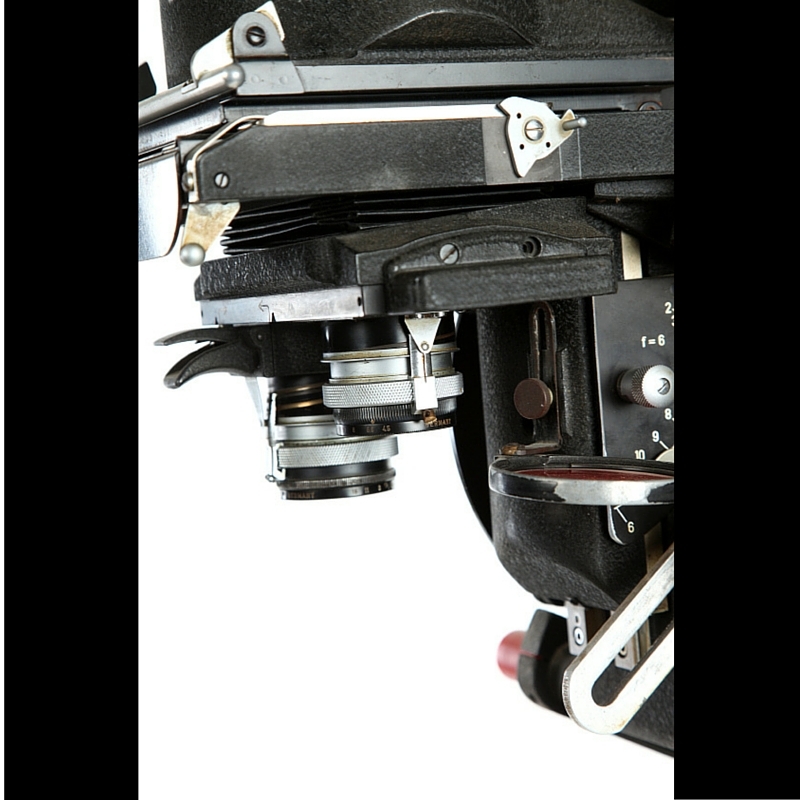 In fact, Metalphoto offers the highest graphic resolution capability of any metal. It is also more environmentally friendly than traditional acid etching used on many nameplates. One of Metalphoto’s unique image features is that we can produce thousands of nameplates in a single run. Further, those plates can be very incredibly detailed and can include serial data, barcodes, and even symbols. Here’s how the Metalphoto process works: We begin with an anodized aluminum base. Using your specifications, we imprint your plate with your custom instructions. Then we embed the metal with graphics by embossing the surface with metallic silver particles. Finally, we seal the image and cover it with a hard anodic layer. This tough coating resists chips, chemicals, and other debris. Available in thicknesses ranging from .003″-.125”, Metalphoto can be finished in matte, satin, or satin gold and will accept a variety of adhesives for mounting. The end result is an extremely tough (as hard as a sapphire), static resistant, and sharp image. In fact, the Metalphoto imaging process is so rugged that we guarantee our printing will last up to 20 years, even in the harshest conditions. Our long-lasting Metalphoto products save you money and time and stress. Once you order with U.S. Nameplate, you know your labels will last. Why trust your important project to anyone else than U.S. Nameplate? For more information, request a quote online or contact us at (319) 895-8804. Custom metal nameplates are critical for providing data and ensuring safety in the workplace. At U.S. Nameplate Co., we supply durable and long-lasting nameplates and tags to more than 3,000 Original Equipment Manufacturers (OEM’s) in a variety of industries, including mining, the military, medical, and transportation. Since 1946, we’ve created high-quality nameplates at affordable prices. At U.S. Nameplate Co., you needn’t spend a fortune to receive a well-designed product. We work with many customers who are on a budget and we provide economical and custom solutions for all our clients. Call one of our friendly and professional representatives to discuss your next project. And keep in mind, there are several ways we can save you even more money. • Size does matter. In fact, the smaller your nameplate or tag, the greater your savings. Sometimes a large nameplate is necessary in your industry. However, in other situations, you can easily adjust the size of your nameplate. Ask yourself: Do I really need a thick nameplate when a thinner one will do? Because we design and manufacture all our products under one roof, finding just the right shape and size is a breeze. You may also consider incorporating other tags onto one template to save time and money. • Talk with us about materials and processes. In order to lower your cost, we can make many modifications. For example, we can use a less expensive metal, vary the thickness of the nameplate, use a different printing process, and find the most affordable type of finish. We’ll ensure the nameplate is suitable for your use and your work environment. The resulting nameplate will be extremely durable at a competitive price. • Think about your needs now and into the future. Planning ahead could save you quite a bit of money. Rather than phoning us each time you’re running low on a metal nameplate or tag, consider placing a large order upfront. It’s much easier and more affordable for us to schedule a large production run, than to do several small runs. We pass this savings on to you, our loyal customer. You’ll also have peace of mind knowing you won’t run low on stock or have to make a mad — and expensive — scramble trying to place a new order. At U.S. Nameplate Co., we ensure you have high-quality products on time, in place, and at competitive prices. Our experienced representatives will work with you to provide the best cost available. We’re happy to answer all your questions and look forward to working with you. U.S. Nameplate Company has produced professional, long-lasting metal nameplates and metal serial tags for more than 70 years for many different industries. Customized metal serial tags track and label valuable products, manufactured machines and large pieces of equipment. U.S. Nameplate produces these custom, durable metal serial tags for companies across the nation, ensuring great service and a quality product! Maintaining an inventory of valuable equipment and machines is important to farmers, construction companies and miners alike. In all of these industries, it’s important to take a careful assessment of all assets by recording serial numbers. Metal serial tags from U.S. Nameplate allows company in these industries, and others, to produce well labeled, traceable equipment and machines. Metal serial tags on large equipment and products hinders the resale of stolen products. If equipment or products are stolen, the serial number is an important tool to ensure it is returned to the rightful owner. Metal serial tags also provides proof of ownership. Keeping a record of all serial numbers in the event of theft, allows the consumer to provide considerable proof. In the event of theft or damage to expensive machinery and equipment, serial numbers aid the process of filing an insurance report. Serial numbers are crucial in large scale manufacturing to help with quality control and service management of mass produced products. Metal serial tags placed on products and equipment help consumers track warranties and product recalls. By allowing consumers the ability to track this information with a metal serial tag, businesses can avoid mass recalls or issues with warranties. A metal serial tag helps determine the value of old or antique equipment. Metal serial tags that list manufacture dates, serial numbers, and other information help owners determine specific information about the machine or equipment. U.S. Nameplate assists with the creation of unique, customized metal serial tags. 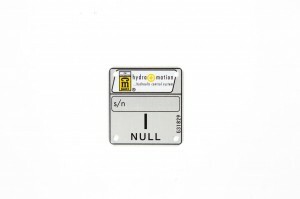 Although sequential numbering is common information on a metal serial tag, other information can be added to create a unique tag. Information including manufacture date, model, and year of the product helps consumers better track their machinery or equipment. Additionally, other information specific to individual products can be added to the metal serial tag to help in the instance of inventory inspections or audits. Metal serial tags from U.S. Nameplate are custom made to fit an industry’s specific needs. From shape and size to color and thickness, metal serial tags are custom designs for different products and pieces of equipment. Additionally, metal serial tags from U.S. Nameplate are printed using etching, stamping or embossing on a variety of materials including aluminum, anodized aluminum, Metalphoto ®, brass and stainless steel. A variety of adhesive and hole cuts/machining options are available to best fit the need of the customer. Most importantly, U.S. Nameplate understands the need for products that outlast harsh elements. Metal serial tags are made to last up to 25 years of outdoor exposure. The unique etching processes used to secure the text as part of the metal serial tag allows the tag to last as long as the machine it’s placed on. For questions or to request a quote, contact U.S. Nameplate Company today at 1-800-553-8871.